Mrs May negotiating a chip. 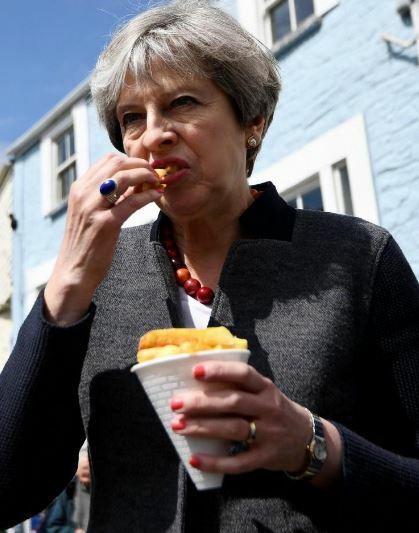 The Conservative Party has started its campaign of checking the quality of chips in every town in the country. “I have been absolutely clear right from the start that the foundation of a strong economy is a good plate of chips,” she told the BBC’s Laura Kuenssberg.